Sierra Leone’s Parliament, yesterday elected former ruling APC parliamentary leader and head of government parliamentary business – Sheku B.B Dumbuya as the new speaker of the House. 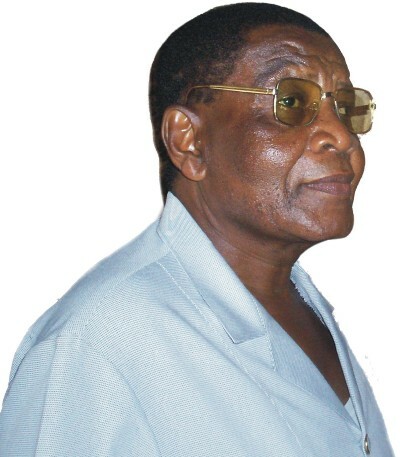 Former speaker and experienced lawyer – Abel Stronge, is said to have fallen on his own sword, in order to pave the way for yesterday’s vote. He had resigned last week. This is the first time a parliamentarian has been elected to serve in that capacity, previously reserved for an experienced Judge. This change came as the result of the passing of the unpopular Constitutional Amendment Act, 2013 by the Koroma government. 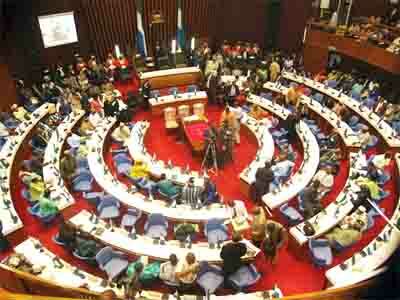 Today’s move by the country’s parliament that is largely dominated by the ruling party, is seen by many as president Koroma’s strategy to control the business of parliament, so as to engineer a third term in government. But there is also suspicion that Koroma is laying the foundation for another constitutional manoeuvre, which will – by default – if not by decree, witness the declaration of a one party state. Call for a unification of parliament, can only mean one thing: ‘a one party parliament – a one party state.’ This loony idea, must be resisted by liberal democrats across the political divide. Whilst yesterday’s election of a parliamentarian may not have come as a surprise, what many find perplexing, is the country’s main opposition SLPP’s lack of fighting spirit in standing against the motion. It is clear from the results of the votes in parliament and yesterday’s procedure, that the opposition SLPP has comfortably curled up in bed with the ruling party, only to grant Koroma his wishes. 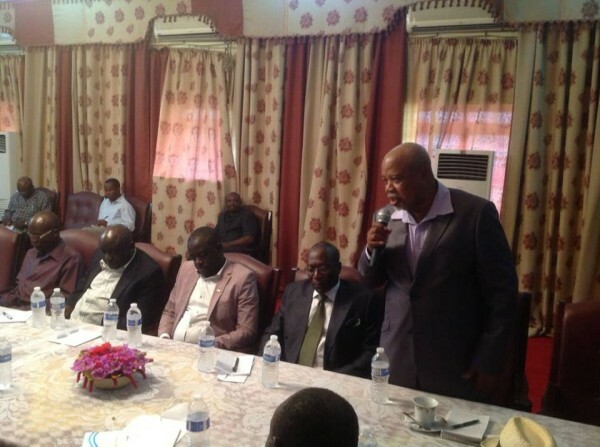 With recent allegations of president Koroma’s brown envelopes greasing the palms of the country’s opposition leaders who were invited for lunch at State House, is it any surprise that yesterday’s election was a foregone conclusion? No one expected the government to lose the election of a speaker, with its overwhelming majority. But what was certainly expected was for ALL of the opposition SLPP members of parliament to stand together for principles, show solidarity and vote against the motion. So, what happened in parliament yesterday? According to official report from parliament, the election was conducted by the Clerk of Parliament – Mr. Ibrahim Sesay, in accordance with Section 79 of Act No 6 of the 1991 Constitution and Standing Order 8 of Parliament. The Clerk reminded the House of the current standing of the two main political parties: APC 70 seats; SLPP 42, and 12 Paramount Chiefs, bringing the total number of voters to 124; with 83 votes (two-thirds) required to be elected as Speaker of Parliament. And when nominations were opened, Ibrahim R. Bundu of the ruling APC nominated the former Majority Leader – S.S. Dumbuya (Photo) for the position of speaker. The controversial leader of the SLPP in parliament – Dr. Bernadette Lahai, did not hesitate in seconding the nomination of the ruling party’s candidate. But there is a small caucus of SLPP parliamentarians who yesterday, were willing to put principles ahead of expediency and disloyalty. Umar P. Tarawally of the SLPP chose to break ranks. He bravely nominated fellow opposition party colleague – Dr. Bubuakei Jabbie. That motion was seconded by Bashiru Sidikie – also of the SLPP. A total of 115 parliamentarians cast their votes, with 9 abstentions. The ruling APC party won the votes with the support of 100 parliamentarians, some of whom were members of the opposition SLPP, whilst Dr. Jabbie polled only 15 votes. This shocking result has prompted questions about the deep divisions within the SLPP parliamentary group and their disloyalty to the party’s principles and values. 42 SLPP members of parliament were present for the votes, yet only 15 voted for their fellow SLPP candidate – Bubuakei Jabbie. Sheku B.B. Dumbuya of the ruling APC was duly elected Speaker of Parliament, for the entire remaining term of office of president Koroma. The nomination and election of deputy speaker of parliament took similar pattern – SLPP parliamentarians once again displaying total lack of loyalty and respect for their fellow colleagues, whilst losing their sense of purpose in the Houses of Parliament. Komba E. Kodoeyoma of the SLPP, brazenly nominated Chernor Bah of the APC, for the position of deputy speaker, seconded by Claude D.M Kamanda, also of the ruling APC. How cosy? – Many ordinary members of the SLPP and its supporters are bound to ask themselves. But then, as the official report from parliament reminds us: the deputy speaker is now calling for “a united parliament”. What’s next? Is president Koroma going to amend the constitution, thereby removing the fixed term clause? The people of Burkina Faso have this week rejected their president’s move to amend the country’s constitution so that he can continue in power in perpetuity. According to Africa Confidential report: “Tens – the opposition says hundreds of thousands of people, took to the streets of the capital and other towns over the weekend, in the biggest protests for years against President Blaise Compaoré. Sierra Leone’s parliament is sitting on a dormant volcano. The abuse of parliamentary majority is one thing. But to tear apart the country’s fledgling liberal democracy, will certainly be suicidal.